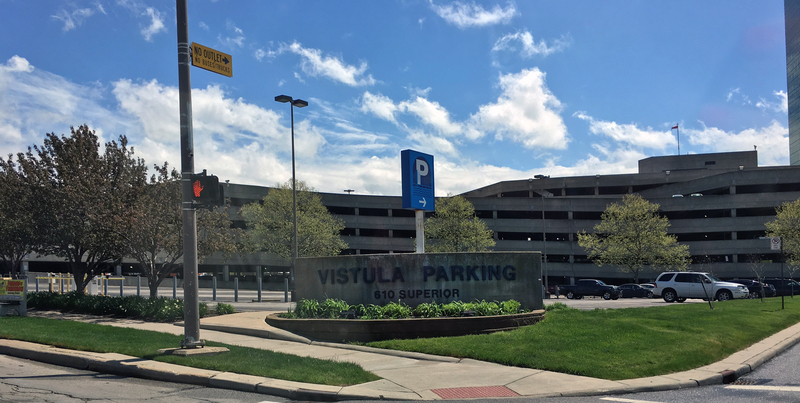 This garage is located at Summit and Cherry Streets, across from One SeaGate and is linked by underground concourse to One SeaGate, Renaissance Hotel, Imagination Station, and the Fifth Third Bank building. The facility has accessible parking for visitors coming downtown to visit the court houses and One Government Center. Entry to Vistula is on Superior Street at Orange Street.